Home Articles RANKINGS: David ‘bewater’ Goodman Remains #1 In The U.S. 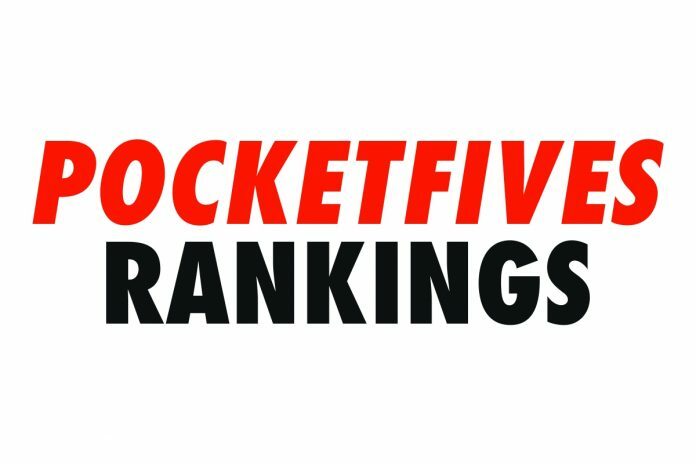 The United States Online Poker Rankings takes a look at the top online players in the current legalized and regulated markets available in the U.S. Thanks to a scorching hot summer heater Nevada’s David ‘bewater’ Goodman (5,022.21), starts the Fall season as the #1-ranked player in the United States. Goodman, a Las Vegas resident, padded his PLB point total with massive wins throughout the summer including his runner-up finish in WSOP Event #63 ($3,200 NLHE Online Bracelet Event) for $212,022 and 597.73. Even though Goodman, continues to benefit from heaps of PLB points, he hasn’t been resting on his laurels. Goodman put in a good grind in September accumulating five PLB qualifying cashes and four four-figure scores. Even though Goodman has a healthy lead, he still needs to be looking over his should as the hottest player in the United States is right on his heels. Anthony ‘tonydattiger’ Maio (4,493.26) claims the #2 spot in the U.S. thanks in part to his recent high profile successes. While it has no bearing on his PocketFives rankings, Maio just turned in a final table performance during the recent WPT Borgata event for $121,697. The heat continued right into PokerStarsNJ New Jersey Championship of Online Poker where he took down Event #6 ($86 Moneymaker Tour NLHE) for a $30,000 Platinum Pass for the PokerStars Players Championship. Well-known New Jersey grinder Michael ‘Gags30’ Gagliano (4,302.98) currently sits as the #3-ranked player in the U.S. Gagliano showed off his online skills in August racking up six outright wins in 10 days, including two five-figure scores during the WSOP.com’s Coast 2 Coast 2 Classic series. There was no slowing him down in September as “Gags” put together six top three finishes, a NJCOOP victory in Event #8 ($150 NLHE Sunday SuperSonic) for $3,623, and no fewer than five PLB qualifying cashes. In total, Gagliano cashed for over $30,000 in September alone. Phillips burg, New Jersey’s Daniel ‘centrfieldr’ Lupo checks in at #4. Lupo impressively turned in 14 top three performances in September, with seven of those being outright victories. One of his highlight tournament was his runner-up finish in PokerStarsNJ NJCOOP Event #5 ($250 NLHE Sunday Special) for over $9,400. During the course of the month, Lupo earned 18 cashes of four-figures or higher for over $82,000. Completing America’s top 5 is Ricky ‘ratedGTO’ Guan. Hailing from Brooklyn, NY but playing out of New Jersey, Guan’s September highlights include a victory in the September 16 edition of the PokerStarsNJ Sunday High Roller ($500 NLHE Six Max) for $6,980 just days after winning the $250 Thursday Thrill Progressive KO for $1,340.